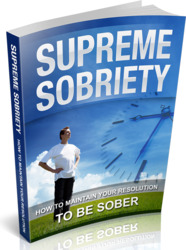 One of the reasons alcoholism resists treatment is that every alcoholic is different. Recognizing that people drink for different reasons, researchers have turned to personality to better understand the variety of forces that drive the disease. Cloninger (1987a) proposed two types of alcoholism based on his model of neurobiological personality dimensions. His Type 1 alcoholic is high in harm avoidance and reward dependence and low in novelty seeking, a combination of traits similar to the dependent and avoidant personalities. His Type 2 alcoholic is high in novelty seeking but low in harm avoidance and reward dependence, a combination of traits similar to the antisocial personality. Cloninger's speculations are interesting, if only because two personality types identified as being at risk fall at opposite corners in the space defined by his conceptual model (see Figure 1.5 in Chapter 1). The avoidant-dependent type appears to drink as a retreat from the stresses of life, and the antisocial type appears to drink more for the pure reinforcement of intoxication. Because theory can only suggest possibilities, it must always be followed up by empirical research. Studies have shown that the antisocial is indeed the most common personality disorder among alcoholics (Hesselbrock, Meyer, & Keener, 1985). Other personality disorders, however, have also been observed. In addition to the antisocial, Morgenstern, Langenbucher, Labouvie, and Miller (1997) found high numbers of borderline and paranoid personalities. Although these disorders have no exact parallel in Cloninger's model, their vulnerability to alcoholism can nevertheless be understood in terms of their characteristic traits. As noted in DSM-IV, borderlines are disposed to indulge themselves impulsively in self-damaging ways, including excessive spending, reckless driving, binge eating, and substance abuse. Excessive alcohol consumption serves the same end. Moreover, as the borderline personality has frequently been associated with mood swings and chronic depression, it is likely that alcohol consumption represents a means of self-medicating; that is, it is an attempt to "even out" the highs and lows of their chaotic life. A similar story holds for the paranoid personality. Because paranoids are, by definition, saturated with intense social avoidance, it is likely that they find alcohol reinforcing because it calms otherwise ever-present fears. 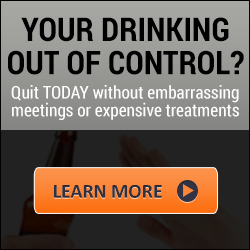 In contrast, further research has found that alcoholism occurs only rarely in the dependent personality. Although Cloninger's original theory of alcoholism and personality disorders now appears somewhat imperfect, the larger proposition—that alcoholism must be understood in the context of the total personality—is nevertheless an enduring finding. offenders (Virkkunen, 1985), in conduct-disordered boys (McBurnett, Lahey, Rathouz, & Loeber, 2000), and in adolescent girls with conduct disorder (Pajer, Gardner, Rubin, Perel, & Neal, 2001). High levels of the male hormone testosterone have been associated with antisocial behavior in male veterans (Dabbs & Morris, 1990), though not in college students (Dabbs, Hopper, & Jurkovic, 1990). Evidence linking antisocial or criminal behavior to heredity can be found in numerous studies (e.g., Cloninger, Reich, & Guze, 1978; Grove, Eckert, & Heston, 1990), thus indicating some genetic basis for these syndromes.